Their appearance can vary from spotted, barred or clear. Aside from some very limited water in Northern Maine & Vermont. 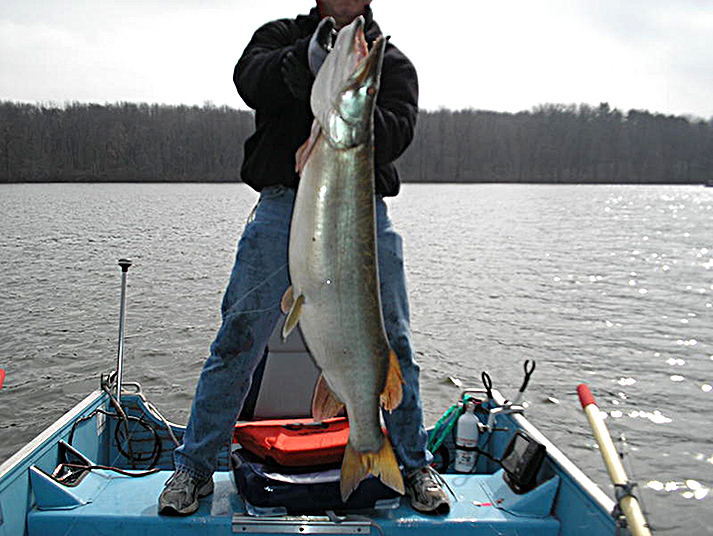 New England does not have pure muskies and it's a shame there are no near by opportunities. 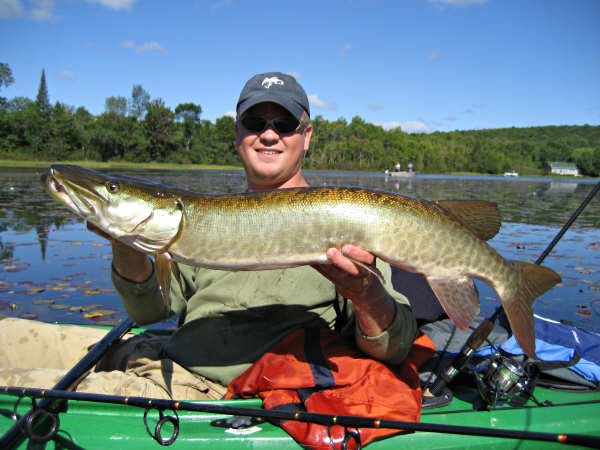 I know in my home state of MA where the hybrid tiger muskie and pike used to be managed and stocked. The state has Just about discontinued stocking them. Due to no longer being able to obtain any through it's original source and halting any other potential sources, due to disease scares. Whats left will soon deplete itself. Therefore if MA cant even get those programs going again. My hope (and wishful thinking) of the state ever considering the introduction of (pure) musky in the future has pretty much turned into a flushed pipe dream. The fish of a thousand casts. 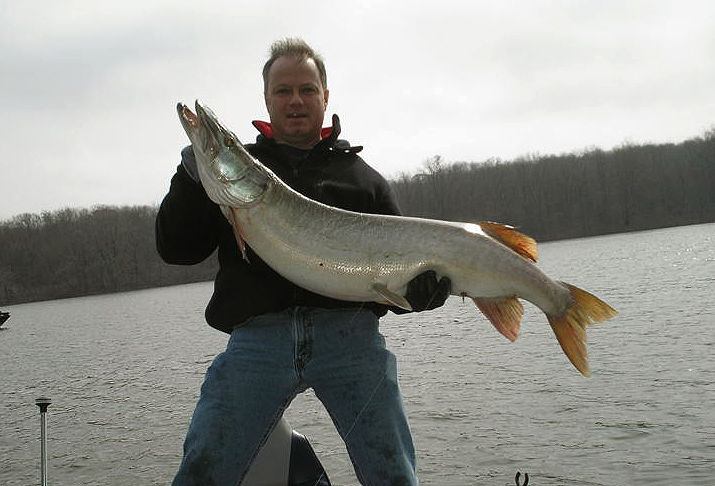 If anyone has any musky pics you would like me to post here, send them on over to (thelocalhookup@yahoo.com). This page is a little bare and could use some more content. 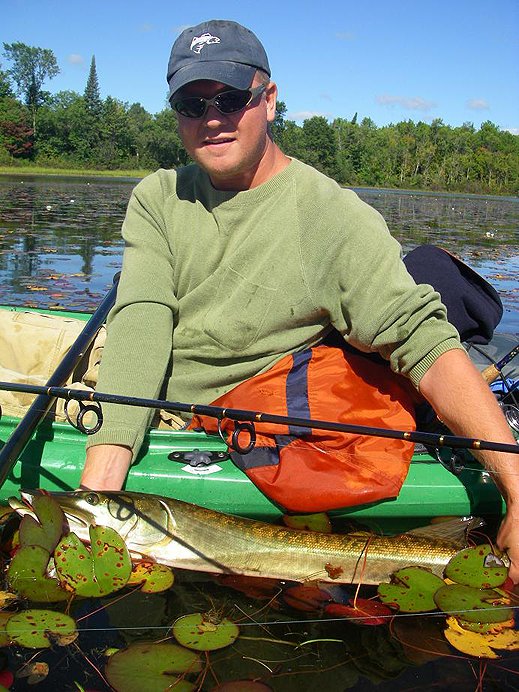 Pictured above NEF (newenglandfishing.net) member Eric caught his first musky while fishing in Canada. He casted a frog bait over some lily pads, in about 18 inches of water and hooked a small largemouth bass. 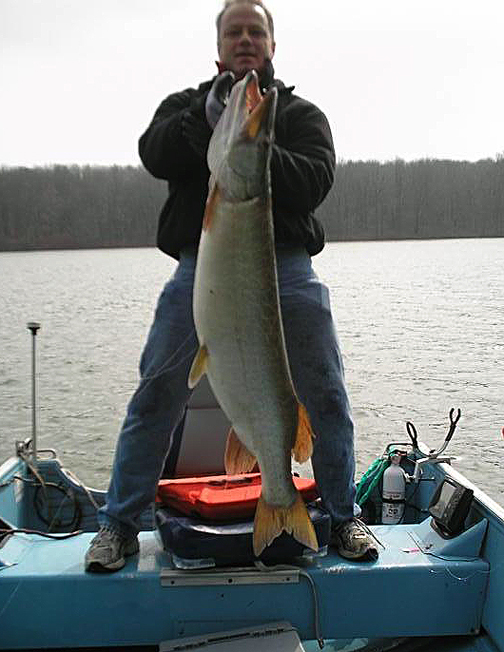 While playing the bass this 10 pound musky shot out of nowhere and had eaten the bass on the end of his line and some how managed to get hooked. Which was then followed up by a battle in the weeds and a successful landing. What a story!